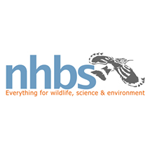 NHBS was founded in London in 1985 as an ornithological specialist (the first catalogue listing around 500 bird books was hand-crafted on a state-of-the-art electronic typewriter). Within two years it became a natural history bookstore, with a commitment to supply all in-print literature (defined as any print or electronic materials) in the natural history/natural science disciplines: botany, ecology, environmental science, evolutionary biology, geology/earth science and zoology. By the late 1980s we were beginning to get orders and enquiries for environment titles outside of natural science in the classical sense, so we set about redefining our remit. By the time of the Rio summit in 1992, we had extended the subject range to embrace habitat and species conservation, climate change studies, environmental assessment – and a whole host of other areas where environmental research and enquiry was going on. In 2005 we stopped producing our famous newspaper catalogue as the need to provide information more quickly online took priority, it was no longer practical to wait six months to tell you about new books! We now produce more in-depth subject catalogues online and in pdf. In addition we began visiting conferences and wildlife shows if you meet NHBS at a conference you are probably standing amidst the world’s biggest selection of scientific books in your field we welcome you to browse our range in person. In late 2007 and early 2008 we began to add an increasing number of wildlife and ecology products to www.nhbs.com – this process started with bat detectors, optics, moth traps and GPS units and is rapidly growing to offer the full range of products required by ecologists, birdwatchers and NGO field staff. Whether you are off on safari or field work on the rocky shore, NHBS strives to provide all the books and equipment you need.